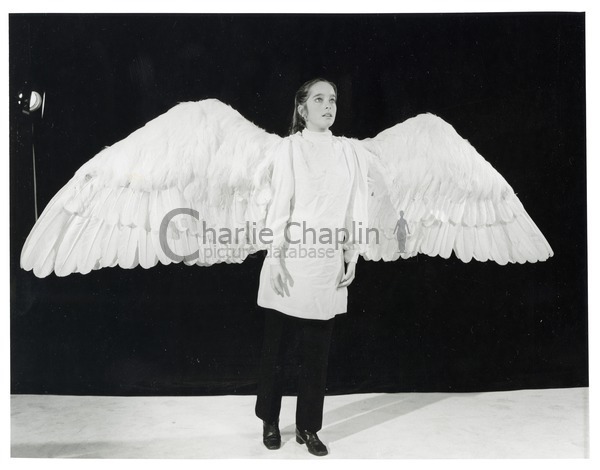 The Freak was a project that Chaplin worked on in the late sixties, a dramatic comedy about a girl with wings. The role was designed for his third daughter, Victoria. The film was never made, but he composed this song, called alternatively “Love Song” and “My Love”, which according to arranger Eric James was a love song to Charlie’s wife Oona. Chaplin only included a very brief fragment of his voice singing this song in A King in New York. Listen to the full song here.